WWRSD? : Rocker Stalker Presents at Bar Matchless TONIGHT! Rocker Stalker is moving venues and boroughs for a bit, to Bar Matchless in Brooklyn! 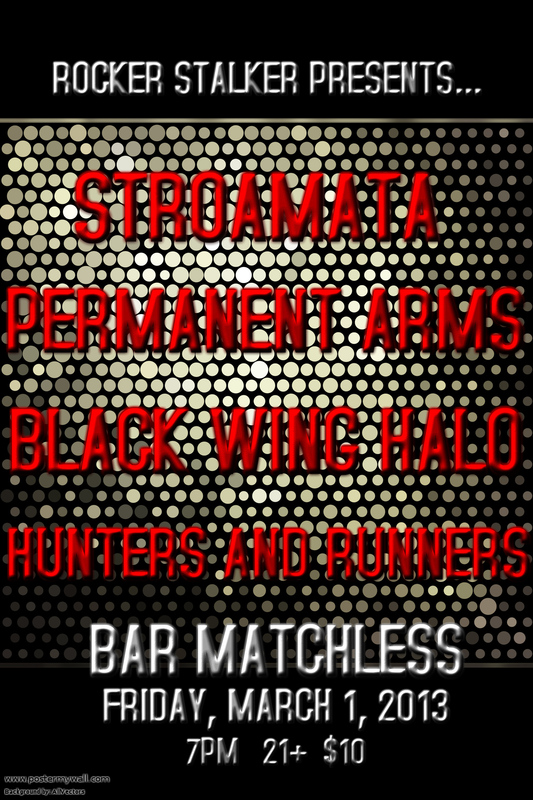 TONIGHT is the first of many gigs to come, and I’m super thrilled to presents a rockin’ line up including Stroamata, Permanent Arms, Black Wing Halo, and Hunters and Runners. Here is the Facebook event! Doors at 7pm, 21+, $10. Bar Matchless is located at 557 Manhattan Ave, Brooklyn, NY 11222.